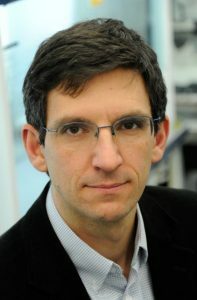 Ludovic Vallier is Professor of Regenerative Medicine affiliated to the Department of Surgery Cambridge University, Senior Group Leader jointly based at the MRC and Wellcome Trust Cambridge Stem Cell Institute and the Welcome Trust Sanger Institute, and director of the NIHR Cambridge Biomedical Research Centre human Induced Pluripotent Stem Cells core facility. His group employs human pluripotent stem cells and organoid as in vitro models to uncover molecular mechanisms controlling early cell fate decisions in human development. These studies have uncovered key factors controlling differentiation of pluripotent cells into endoderm progenitors from which the pancreas, lung, gut and liver originate. His group exploits the resulting cells to study inherited metabolic diseases and to develop regenerative medicine applications. Thus, his overall objective is not only to acquire the knowledge necessary to control differentiation of stem cells into specific endodermal cells but also to generate cell types for clinical studies of metabolic disorders and for cell based therapy.